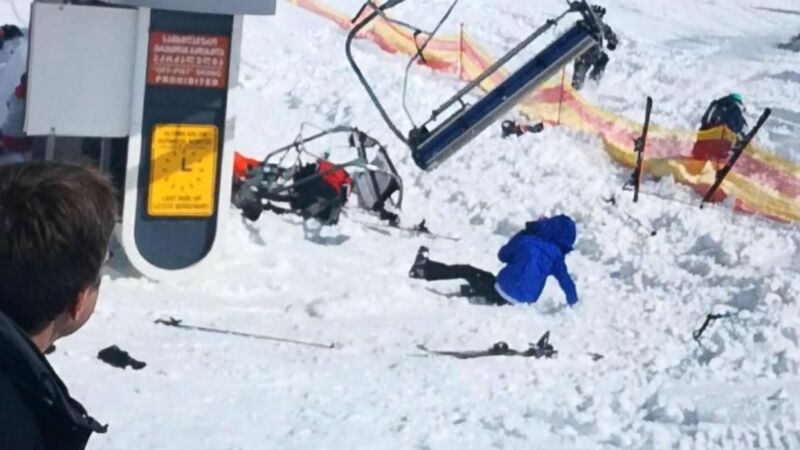 Video shows people getting flung from the ski lift. 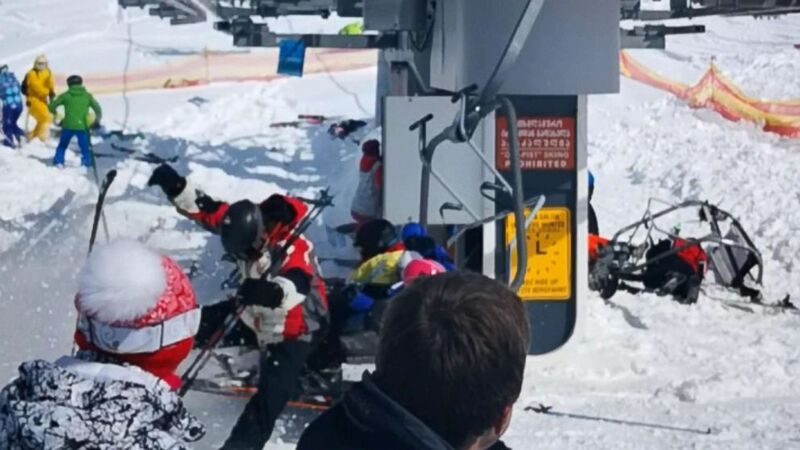 A malfunctioning ski lift in the country of Georgia has left at least 11 people injured. The terrifying video of the incident at the Gudauri resort showed the lift rapidly moving backwards whilst people seated in the lift's chairs were loudly urged to jump off to safety. As a result, a pile of broken and twisted chairs was created at the bottom, with new chairs adding to the destruction when they crashed into it at an alarming speed. (Reuters) Malfunctioning equipment at Gudauri Ski Resort located on the south-facing plateau of The Greater Caucasus Mountain Range in Georgia, resulted in 11 injuries, March 16, 2018. The 32-year-old, who was there with friends, said they jumped and once on the ground took video of other people jumping to safety. He added that the lift chairs crashed at bottom of the hill, tossing the people still in them into the air. Nino Mamaladze, a ministry of health official, said that 11 people were injured, with an estimated eight people being taken to the hospital. All are in a stable condition, with none having suffered critical or life-threatening injuries. The Mountain Resorts Development Company, a part of the Georgian Ministry of Economy, posted on its Facebook page Friday that the malfunction was a result of a problem with the rope. They say they immediately contacted the rope manufacturer in order to quickly discover the specific cause of the incident. The Gudauri ski resort is 7,200 feet above sea level on the southern faces of the Greater Caucus Mountain Range in Georgia.